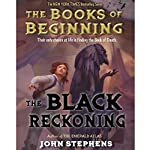 As I mentioned in my last reading roundup, I’ve been catching up with John Stephens’ Books of Beginning in preparation for the release of The Black Reckoning. As I’ve been on nightshift, I’ve listened to these books in audiobook format, narrated by Jim Dale. I’m generally not a big fan of Dale’s narration – a personal opinion; I know many listeners value his work highly – but I did enjoy his narration for this series. For those of you unfamiliar with this series, it’s about three sibling orphans who find that they are fated to be the Keepers of the mystical Books of Beginning. This concluding book brings all the threads of the series together. I did enjoy that the series didn’t end immediately after they defeated the Big Bad; it’s always interesting to see heroes try to adapt to the normal world and family life. While no Harry Potter or even Percy Jackson, this is an enjoyable series and is work picking up. I gave The Black Reckoning four stars out of five. Every month in the leadup to the release of Cassandra Clare’s Lady Midnight, the first in a new Shadowhunter series, she along with co-writers is releasing a short novella set in Shadowhunter Academy following fan favourite Simon Lewis. 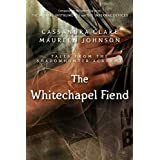 I particularly enjoyed this month’s entry, The Whitechapel Fiend, focussing as it does on the Victorian era, around the time of the Infernal Devices trilogy. Personally I loved the Infernal Devices more that the Mortal Instruments, so I appreciated revisiting old friends. Each of these novellas is self contained and takes the edge of the wait for Lady Midnight. I gave The Whitechapel Fiend four stars out of five. After having read so much middle-grade/YA books in the last couple of weeks, I really needed something more… adult, so I’ve picked up book four in Diana Gabaldon’s Outlander series, The Drums of Autumn. I’m listening to this in audiobook format, narrated by the wonderful Davina Porter. I’m really enjoying the continuation of Claire’s and Jamie’s story. Interestingly, Gabaldon announced this week that an audio version of her Outlandish Companion will be released later this year. Porter will narrate the book summaries and, I believe, character lists etc, while Gabaldon herself will narrate the anecdotes. That could be interesting. However, I’ve been using my Kindle copy of the Outlandish Companion more as a reference, which isn’t so easy in audiobook format. Speaking of upcoming audiobook releases, I read today that Blake Charlton’s Spellwright trilogy is coming to audiobook. This is a really fun series with a fascinating magic system, and is worth checking out. Book three isn’t scheduled until June 2016, which is a bit of a wait. You’ve time to get caught up on Spellwright and Spellbound! Also newly in audiobook format is V.E. Schwab’s A Darker Shade of Magic. I’ve already read this in Kindle format, so I will probably give the audiobook a miss. However, if you’ve not read it, it is well worth picking up. I was excited to see the cover and synopsis for book two in the series, A Gathering of Shadows, due in February 2016. I have my pre-order in already. One book which I’m disappointed is not yet in audiobook format is Ian Doescher’s The Phantom of Menace. I’ve loved, loved LOVED Random House Audio’s full cast productions for the previous books in the series. I really hope they do one for Phantom. I’ve been leafing through this in Kindle format and am enjoying what I”m reading. As Doescher himself would say though, Shakespeare (even a Star Wars universe version) is best experienced in the hands of talented actors. I’m particularly appreciating what he’s doing with Jar Jar Binks. It may even make watching him in the movies more tolerable. In any case, you should check it out. In a couple of weeks my husband and I set off for our trans Canadian train trip. If anyone can recommend any good Canadian travelogues, preferably in the style of Bill Bryson, I would be grateful. That’s all for this week folks. Talk to you soon.